Jack Roush loves power and speed and history....which is why one of his hobbies is flying P-51 warbirds, a sidelight he picked up back in 1993. Two years ago he added a P-51 B-model on line, to go with his long-time love, a D-model. That pair of WW2 birds, which he flies cross-country when he has time, will soon have a new home – Roush's hanger at the Concord (N.C.) airport, next to his massive race shop complex. That's where he also keeps those two 727-200s, newly upgraded crew haulers. And Roush has a built a new hanger addition with 'crew quarters,' "so I can spend the night in at Concord, next to my race shop campus." Roush has added another full day in Concord each week, as he pushes his teams to get back up to speed on the Sprint Cup tour. The new hanger has an historical note to it: a bar reminiscent of the 363rd Squadron bar facility they had in England, complete with the squadron logo and the propeller over the bar, a restored staff car and military jeep. Roush's two P-51s were rebuilt and logoed as part of the Eighth Air Force's 363rd, one with the Old Crow colors of ace Bud Anderson, a long-time friend of Roush's who still shows up occasionally in the Roush pits race day. That's all the fun part of being the cat-in-the-hat, those play days. Roush's day-job, though, is pretty rough it would seem this spring. And Monday's Texas 500 was another disappointment, at a track where Roush men traditionally shine. Yes, Roush's Matt Kenseth hangs on to second in the standings heading this week to Talladega, but a flat tire late cost him a top-six. He finished 20th. Teammate Greg Biffle hangs on to third in the standings, but he had a flat too, and just hung in to finish 10th: "We had a car that we could have won with if we were up front and had track position. It hurts when you've got a better car than that. That flat tire killed us." "We haven't won yet, and by this time last year we had already won twice, so that is a disappointment," Roush says. "But the cars are running much better as a group...and there is more consensus over what we want in the car. Last year we were all over the map because we weren't getting the result. "The goal is to be at prime and the best we can be by the second Loudon race (September) to start the chase. 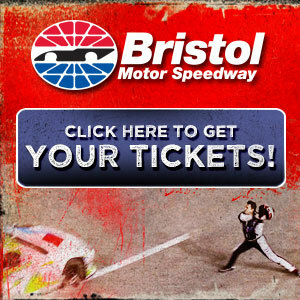 I have every hope of having at least three or four of the Roush Fenway cars in the chase." Roush insists he's not panicking, not a bit. In fact Roush hints it might be arch-rival Rick Hendrick on the hot seat....after hiring Kasey Kahne. The Kahne-to-Hendrick move has raised Roush's eyebrows, and perhaps his ire also...and raised some questions too. Hendrick has just 'out-bid' Joe Gibbs for another superstar, Kahne, giving Hendrick five men under Cup contract. That NASCAR officials are staying silent about Hendrick having five under contract is curious. Does that make Hendrick Motorsports even more powerful? Is NASCAR concerned about the balance of power in this sport? "It will be curious to see if NASCAR cares if he (Hendrick) controls another driver who is outside his own (four-team) camp..." Roush says pointedly. Remember it wasn't that long ago that, when Roush put all five Cup teams into the championship playoffs, NASCAR quickly responded with a limit of four teams per owner (although there are a number of questionable 'affiliations' that get around that rule). That was 2005. The man winning the championship that season: Chevy's Tony Stewart. The man winning the next four championships: Hendrick's Jimmie Johnson. All that should probably have Roush's blood pressure nearing the boil point. "NASCAR was arguably concerned about me when I put five teams in the chase a few years ago. And it would not appear to me to be a coincidence they decided I couldn't have five teams anymore," Roush notes coolly. "If they were concerned about me stinking up the show by having more than my share of sponsors and competitive drivers, certainly there is reason to believe that concern might have moved elsewhere." Maybe so, but then maybe not. Chevy's Jimmie Johnson, runner-up (by just three lengths) in Monday's Texas 500, is stretching his Sprint Cup tour points lead. Has NASCAR tilted too much toward the Chevrolet camp? Chevy has five wins, and Ford is still winless. Perhaps there's a bigger picture here: "Well, Chevrolet went bankrupt, and Ford is solvent and hasn't taken government money," Roush says. "I don't know if going bankrupt does things to help you and lets you get considerations. Like Chevrolet has a better relationship with the UAW now, and Chevrolet's price of labor is less. "But they don't have the Ford product line or Ford management." Hendrick's dominance on the NASCAR tour is becoming something of a concern in the Cup garage. Roush would appear to be the man best equipped to handle Hendrick. However Roush teams are winless on the Cup tour this spring, while Hendrick has notched three victories (four, if you consider the Tony Stewart-Ryan Newman operation's Hendrick engineering connections). And last year Hendrick teams logged 13 tour wins to Roush's three. Roush looks at the positive: "We've just run some short tracks, which are not traditionally our strong points; maybe they will be by the end of the year. "Last year we had our best year ever on superspeedways (winning Daytona and Talladega), not usually one of our strengths." Roush said that made up a bit for "the disappointment on the 1-1/2-mile tracks," where Roush men nearly always shine. Kenseth won the California 500 in the spring of 2009, but that was the operation's only win at a mid-sized track. "We were certainly competitive (this year) at California, Las Vegas and Atlanta....And we hope that we're back and competitive with anybody, including the Hendrick organization. We have yet to see if we can be competitive on the short tracks with them, which we haven't been. But we certainly expect to be competitive at Talladega and at the other restricted tracks, and I certainly expect to expect to be on par with them on the intermediate tracks. "We've got three of our four cars in the top-12 (going into the Texas 500). So I'm happy with the progress we've made. I'm satisfied, to a point, with the progress David Ragan has made; he had a chance for a top-10 at Martinsville, but got shuffled in that last restart. He's more methodical and careful right now, and I think he'll be more effective as the year goes on." A big plus in the pickup of Roush cars at Talladega and Daytona has been Todd Parrott, who spent most of last year running that part of the shop. Now, in an early season surprise Roush has put Parrott in command of Matt Kenseth's team – with quite good results. That was a move that Roush's management team suggested, and he somewhat reluctantly went along with. "The chemistry has improved, and I have found a spot for Drew (Blickensderfer over with Carl (Edwards) on the Nationwide side," Roush said. "And we are hoping that Ricky Stenhouse (one of Roush's new driver projects) will benefit from Mike Kelley's experience as well." Roush just put Kelley in command of Stenhouse's Nationwide team. Roush has been known over the years for his strong development programs, including the catchy Gong Show. However in these tight economic times landing strong sponsors for promising new drivers isn't easy, for anyone. And new drivers can be more expensive than veterans. "In terms of the things that will catch fire with a sponsor, we've been 50 percent successful I guess. "Our successes are notable. (Carl Edwards, Matt Kenseth and Greg Biffle in particular). "However we've had a number of things we have not been as successful with...though it may have been more timing than the driver's aptitude or ability. Time with the crew I had him with, or economic circumstances, or things on the track beyond anyone's control." And what about the new FR9 Ford engine, which has still not been rolled out for all Ford's NASCAR teams. The FR9 plate engine will be in all Fords at Talladega this week, and it will likely be in a car at Darlington. But it's slow rollout has been curious. Roush says "We are starting to get the (new) parts in sufficient quantities and building experience and confidence in the deal. "But as critical as it is to finish these races, we cannot subject these teams to any unknown that could potentially jeopardize a good finish. "We may use the same spark plugs, but those are the only common parts in the current Ford engine and the new FR9. Everything in the new engine is all brand new." 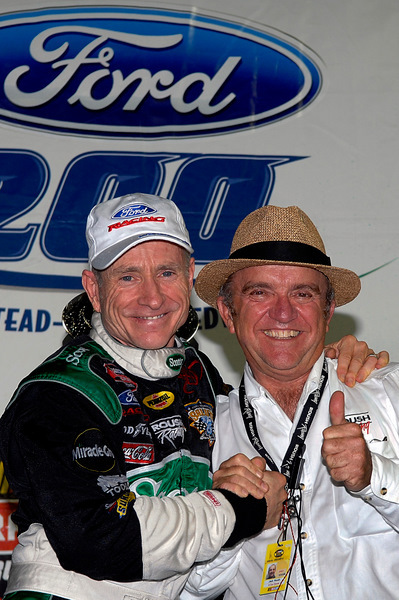 Well, with long-time buddy Mark Martin apparently putting himself back out in the market for a job/ride for 2012, maybe Roush would be interested in bringing him back in the fold? Roush and Martin were the original Roush Racing team, some 20 years ago, and they went through a lot together, before splitting in 2006. Uh, probably not: "Mark retired....I struggled for two years to stop him from retiring, and lost that argument. and then he went off and did those things with Bobby Ginn and DEI....and I don't think I want to be the one to retire mark a second time," Roush says. Submitted by STP43FAN on Wed 04/21/2010 - 15:37. "Just cruising to the playoffs." This is #1 why the Chase needs to be dropped. Racing is not about cruising - it's about going for the win. Submitted by Mike on Thu 04/22/2010 - 16:15. Submitted by STP43FAN on Thu 04/22/2010 - 17:01. 1 - Drop the Chase format altogether. 2 - Increase race-winner points to 300. 3 - Increase the bonus for most-laps-led to 100. Under this scenario, winning becomes paramount and it becomes mathematically impossible to win the title without most wins and most laps led, a scenario under which the entire field will never "let" any one driver win so often or lead so many laps - i.e. the field would fight JJ far more savagely to stop him from winning and leading. Plus there is far greater potential to erase big points leads, making the points race relevant to the season again by making winning the races paramount again. Submitted by Mike on Fri 04/23/2010 - 07:27.